Four-year-old car accident victim named as Brax Kyle. The 4-year-old who died in a nightmare car crash yesterday has been identified. 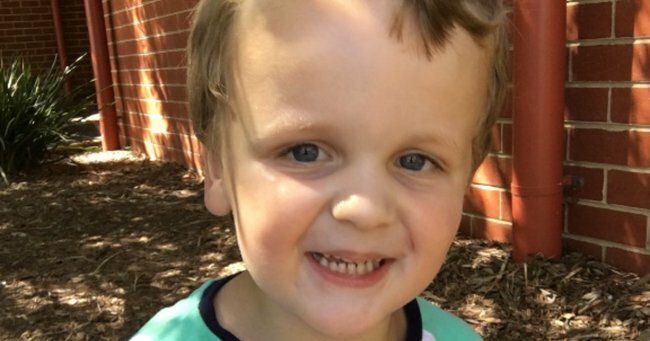 A four-year-old boy who was killed in a car accident outside a medical centre in Melbourne has been named as as Brax Aidan Kyle. Little Brax was holding his father’s hand outside the Epworth Specialist Centre in Berwick when at about midday on Friday when an out-of-control Toyota Land Cruiser struck him. A day on from the accident, a My Cause page has been set up to raise money for the young child’s family. “Our darling Brax, tragically killed in a car accident 21.4.17,” the page reads. The news comes on the same day news surfaced that Brax’s father told witnesses he blamed himself for the accident in the immediate aftermath of the tragedy. Sarah and Cameron Smith, who were travelling behind the Toyota Land Cruiser outside the Epworth Specialist Centre in Berwick when tragedy struck, told the media the boy’s father said it was his fault as they fought in vain to save his life. “I remember the dad saying ‘it’s my fault’. It’s not his fault,” witness Sarah Smith told the press congregating outside the accident. Police are yet to piece together exactly what happened, but believe the 56-year-old driver – who took out 10 cars in the accident -had just left nearby Casey Hospital after receiving dialysis treatment.